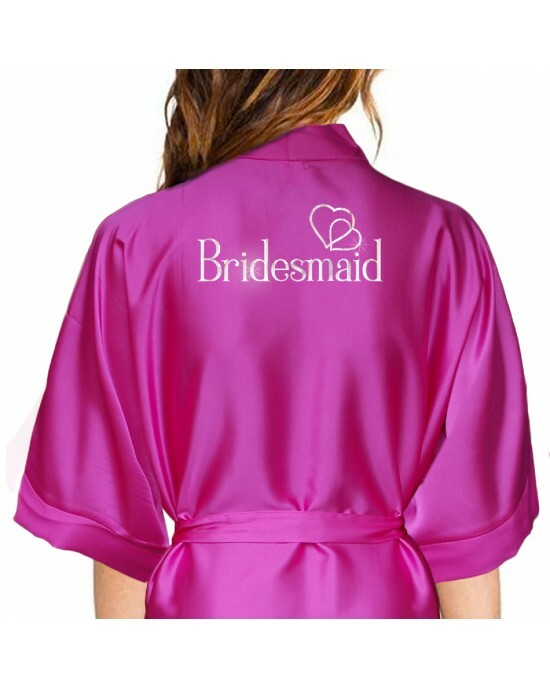 The print onto this Hot pink colour robe is a metallic silver, with matching metallic silver hearts, personalised with your name on the front and a wedding role on the back. Stunning Metallic Silver Print they will really stand out, perfect For Your Wedding Photo's. Ivory Dressing Gown / Robe / Kimono.This robe has the same popular butterfly design as the silver effect but instead of the silver printed in a nice s..
Beautiful Satin Robes For The Bridal Party.Lovely Satin robes in lots of colours, personalised with a name and decorated with a silver butterfly d..